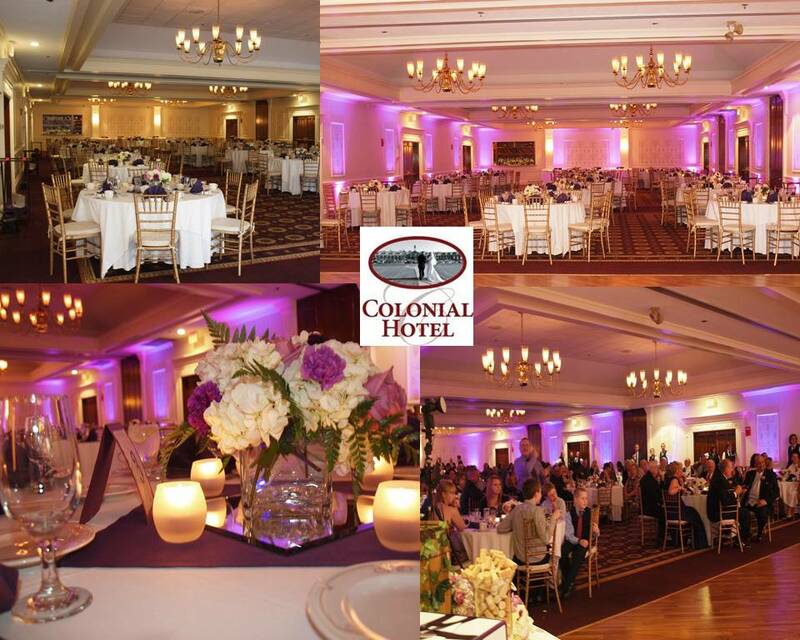 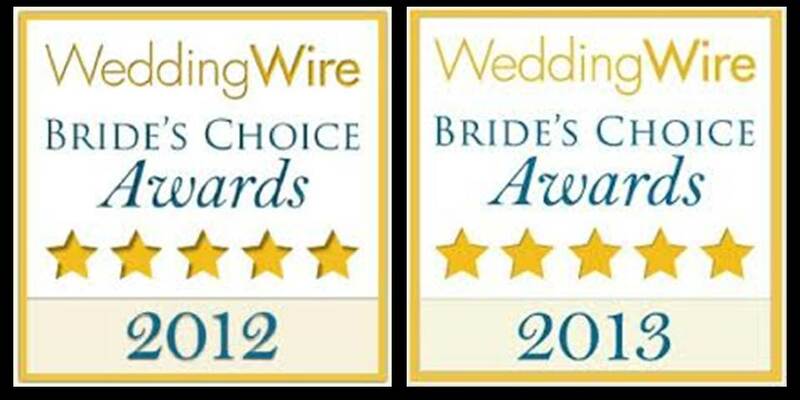 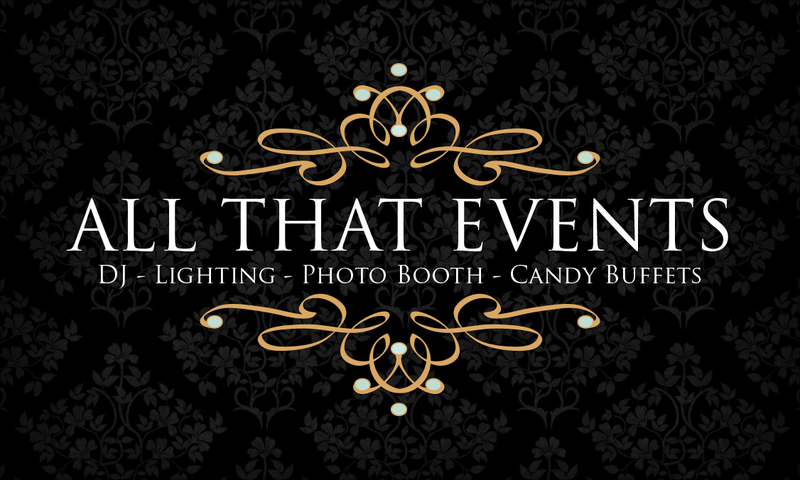 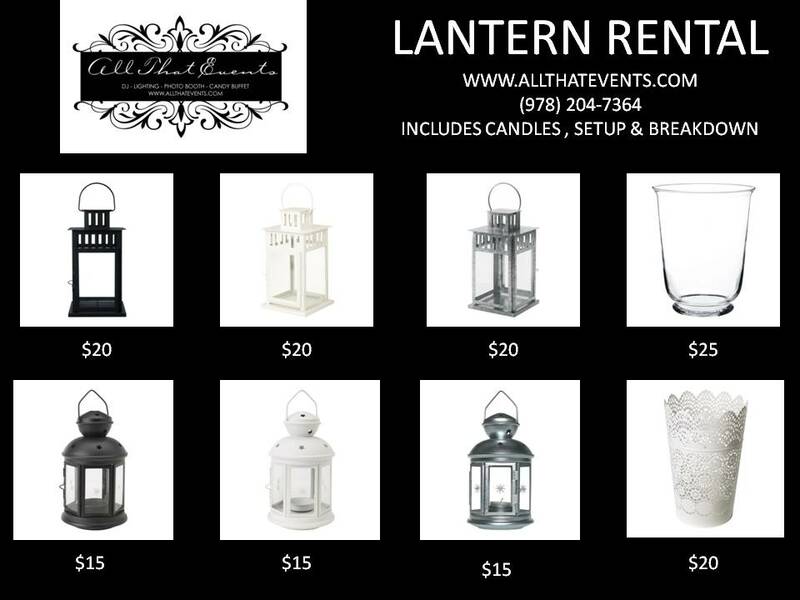 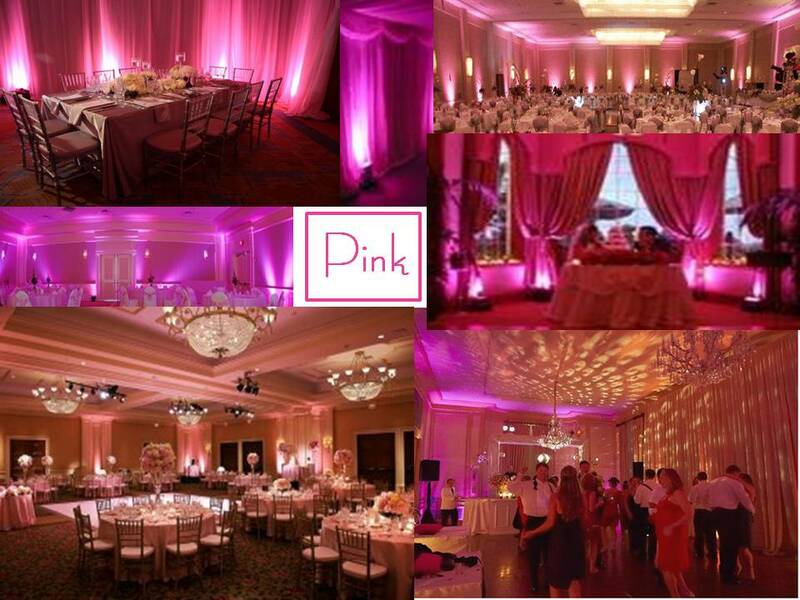 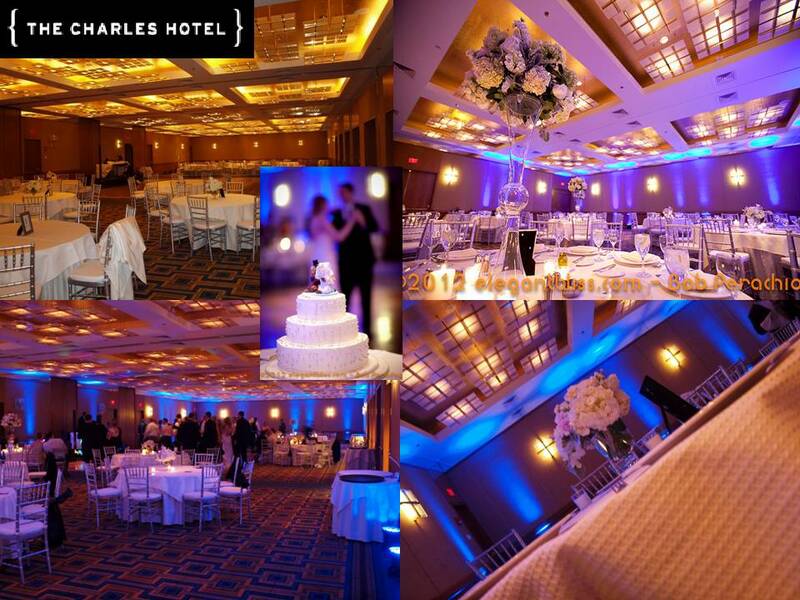 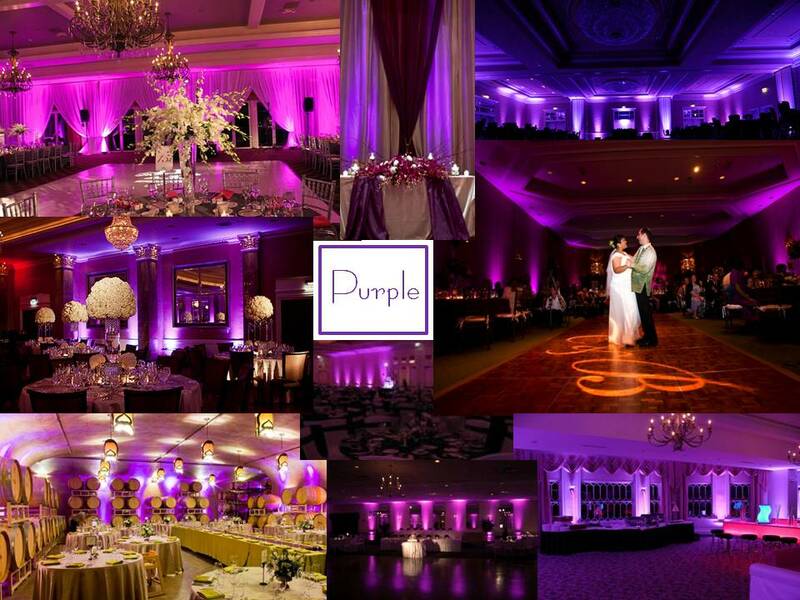 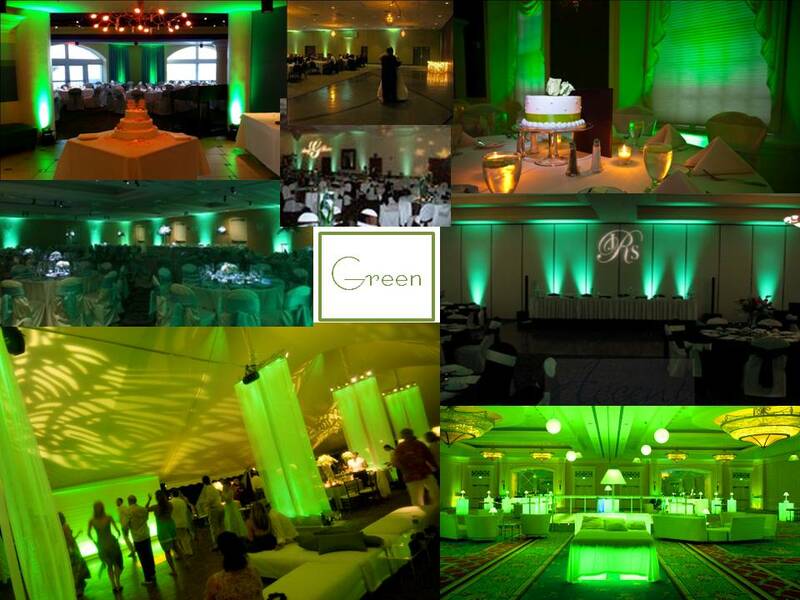 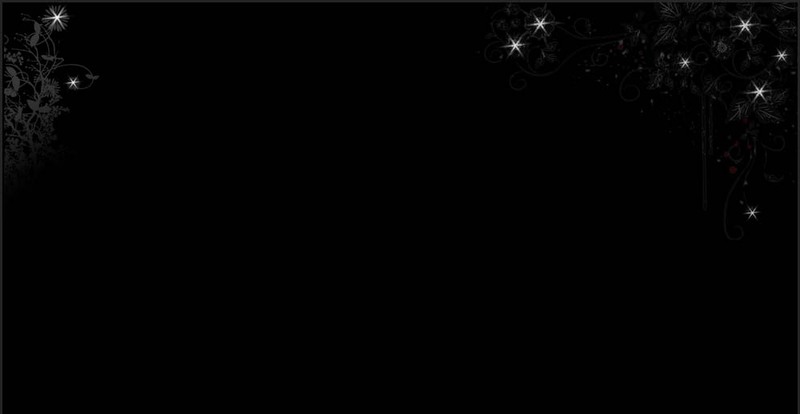 UP LIGHTING: is one of the newest and hottest trends in wedding reception enhancements. 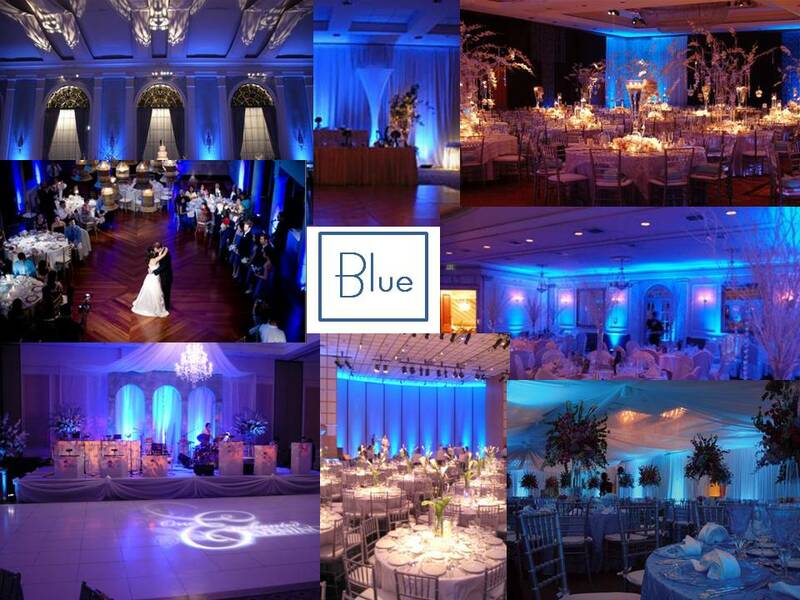 It is comparable to painting with light, to create a magical backdrop to your special day. 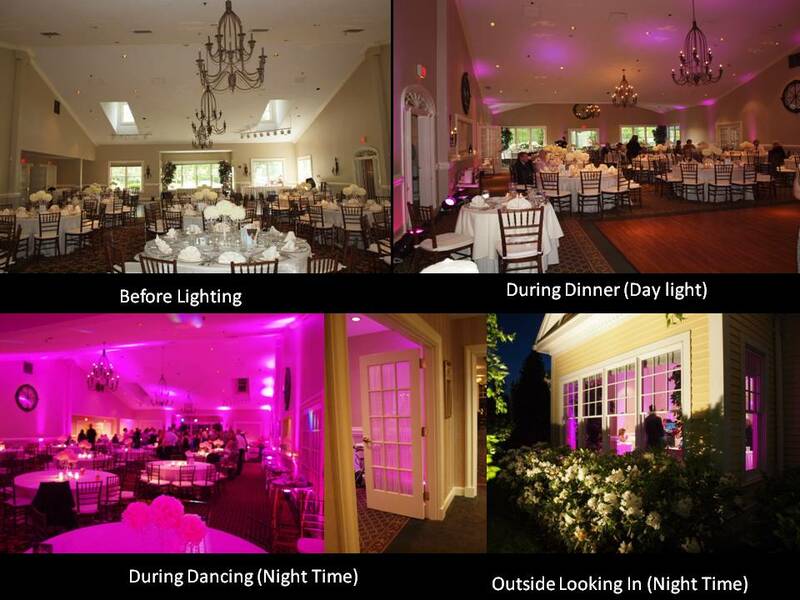 Up lighting will bring your dress, flowers, linens and the room to life, creating a warm, inviting and entertaining space. 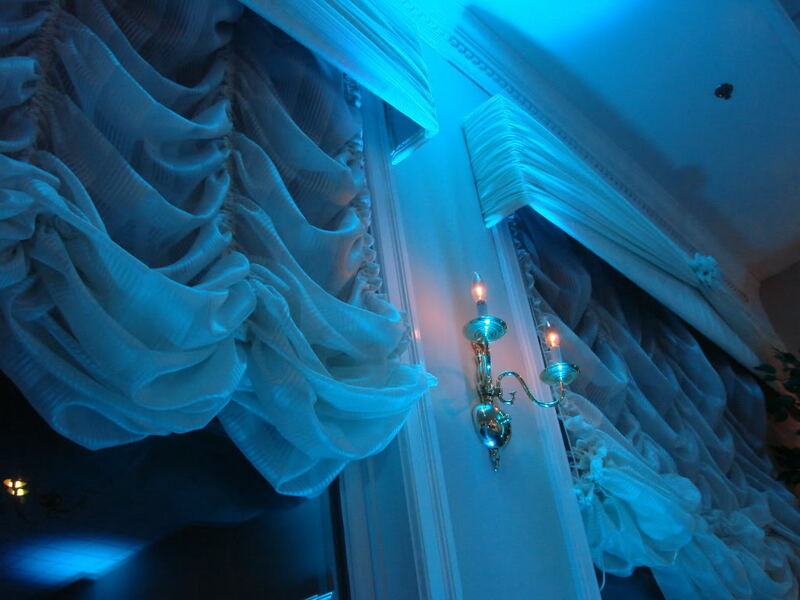 Our light fixtures are place inconspicuously around your room and project decorative beams of light from floor to walls to ceiling. 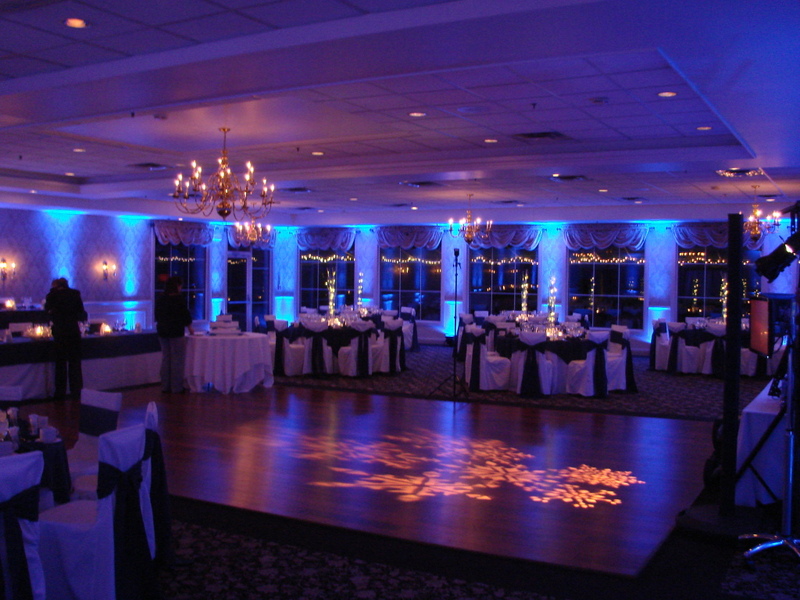 Up Lighting changes the mood of the room as the reception progresses. 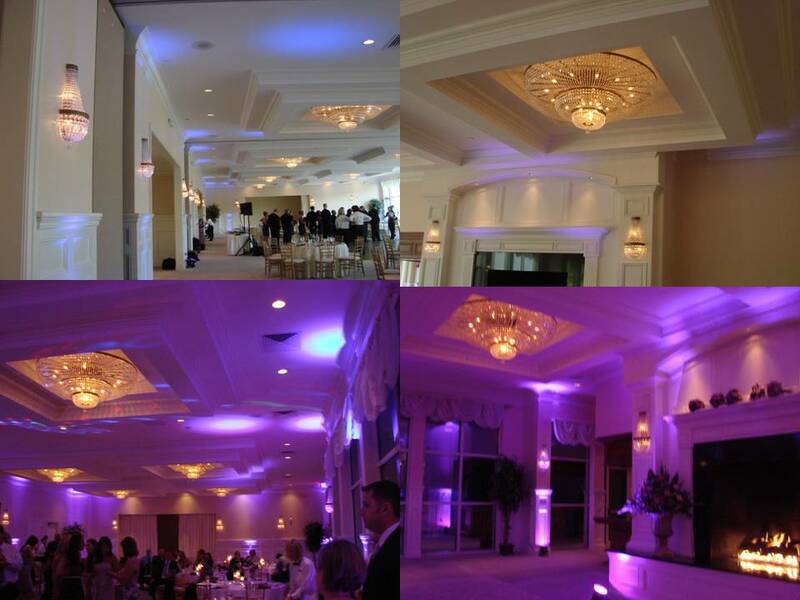 Up Lighting in combination with the house lights (chandeliers, recessed lighting & sconces) will be an elegant accent during the coctail and dinner portions of your reception. 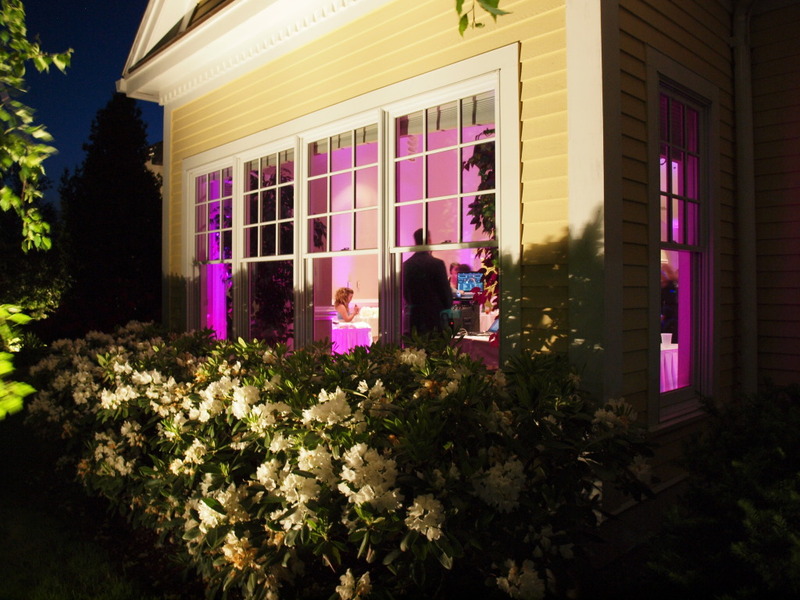 When the house lights are dimmed, the up lighting becomes richer and fills the room with a warm ambiance and lounge feeling. 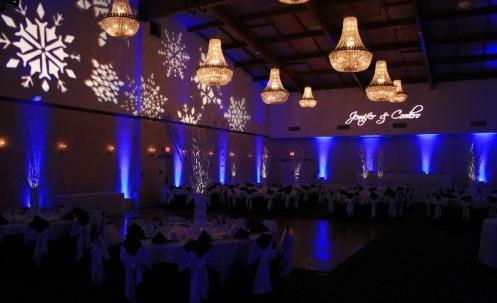 It sets the mood for a very festive party to be had by all! 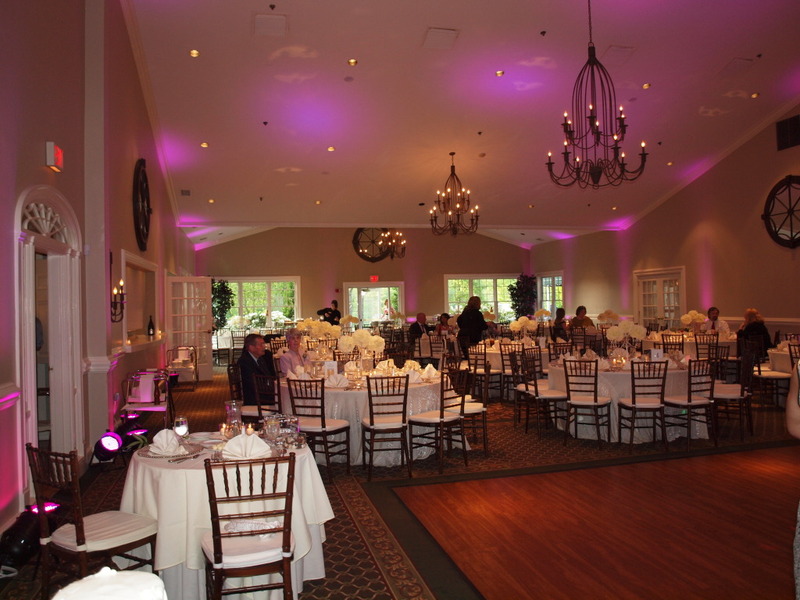 BUDGET MINDED BRIDES: Up lighting can chance the whole ambiance of a room for a fraction of the cost of extra flowers, favors or other types of decorations. 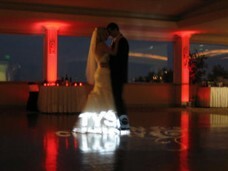 HEAD / SWEETHEART TABLE: Add an extra touch of color to the head or sweetheart table. 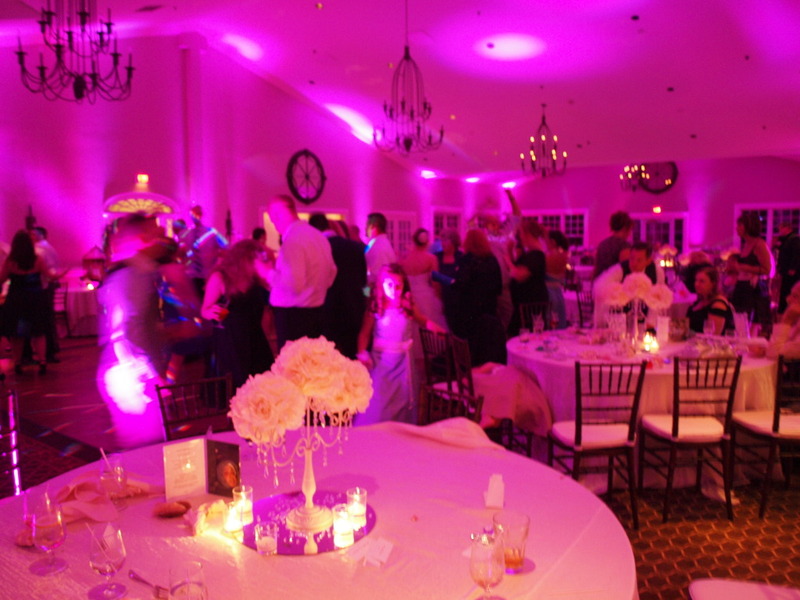 We can project colored light onto your table or set lights under your table to make them glow like they are bathed in your special color! 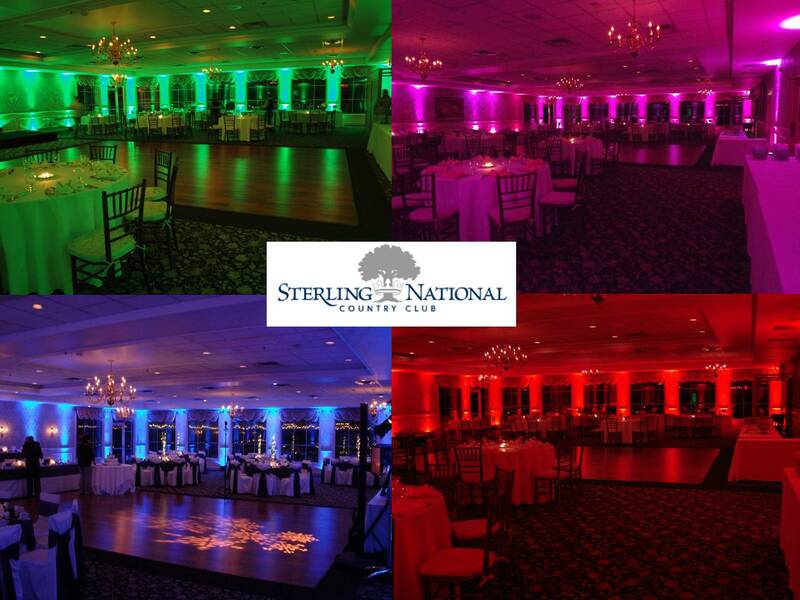 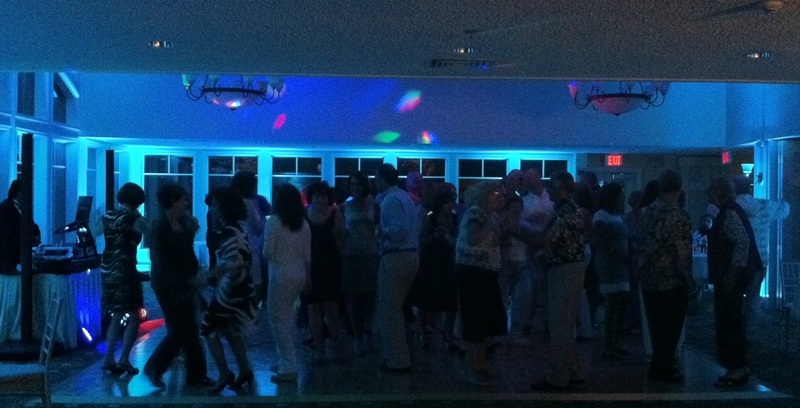 DANCE LIGHTING: Our dance lighting sets the party mood at your event with elegance and sophistication. 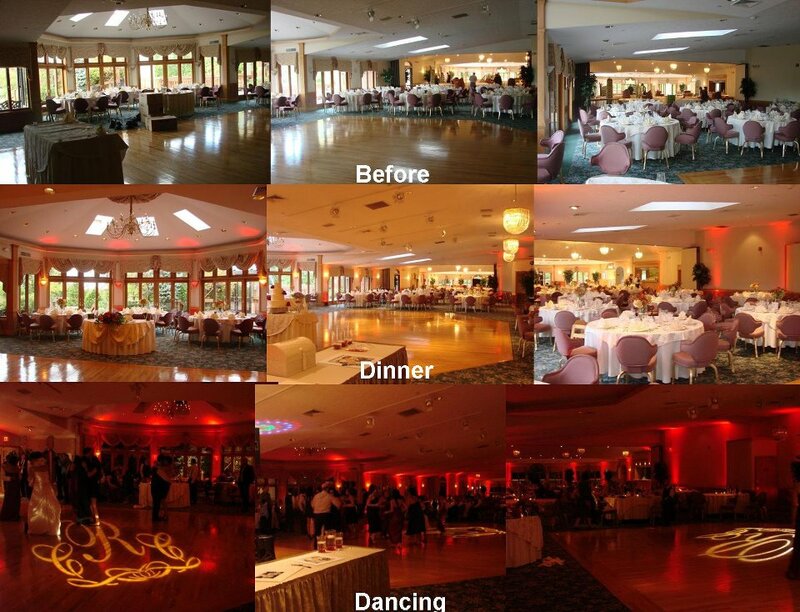 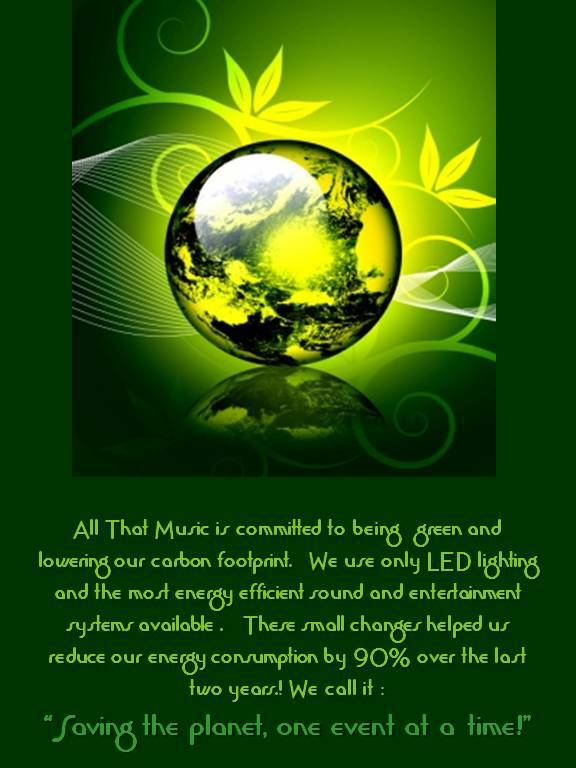 You won't get a cheap strobe or disco effect with our lighting. 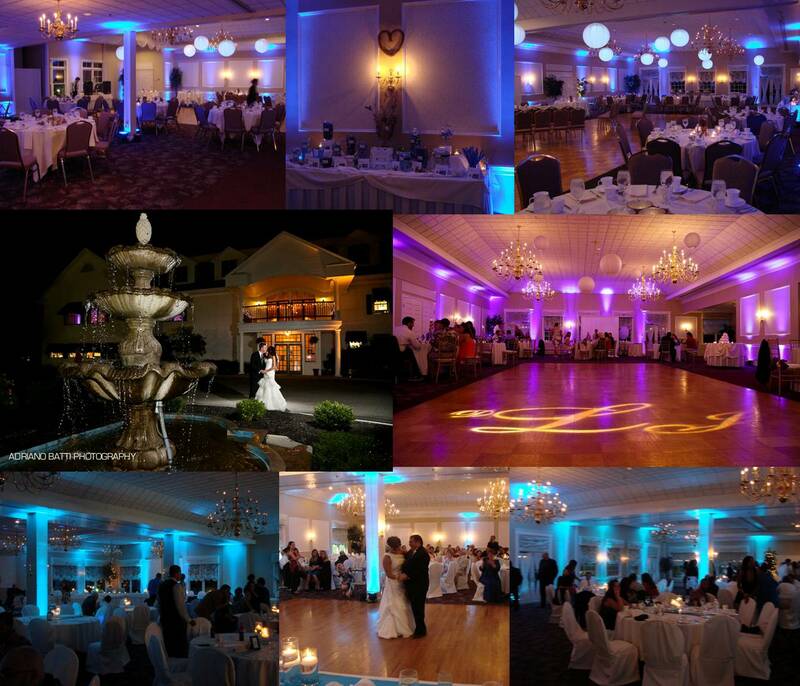 Our soft warm lights change with the beat of the music and swirl lighted shapes on the dance floor to get your guests feet moving to the beat! 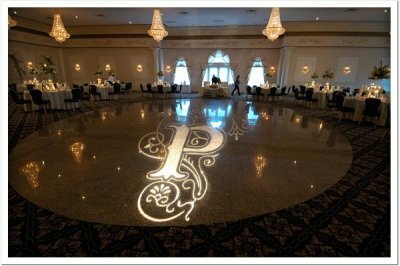 A monogram definitely provides a “wow” factor at your event, when guests enter your ballroom and see your initials displayed on the dance floor. 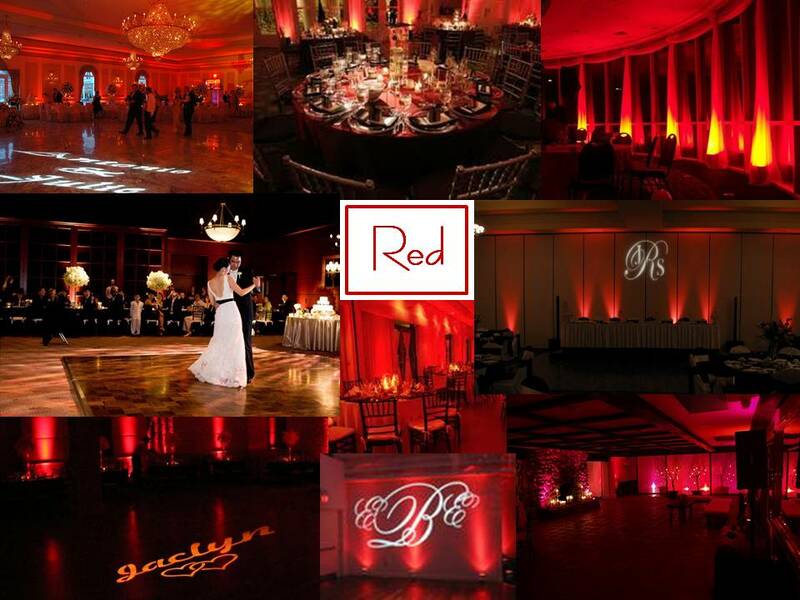 All That Music can project your monogram, name/date/message, or theme, logo or just about anything onto the dance floor, on a screen, or up against a wall. 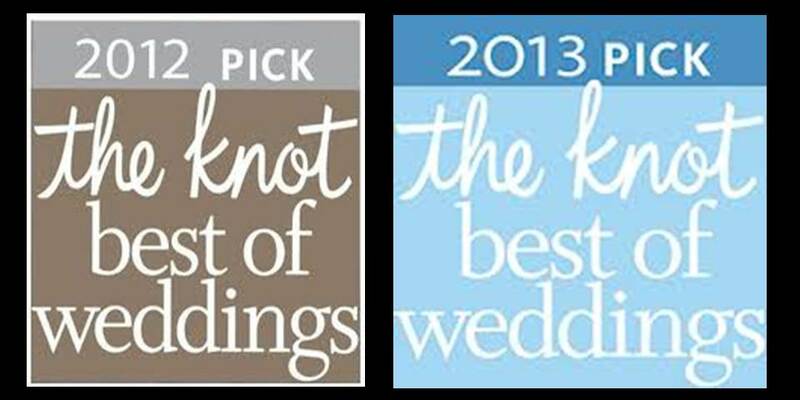 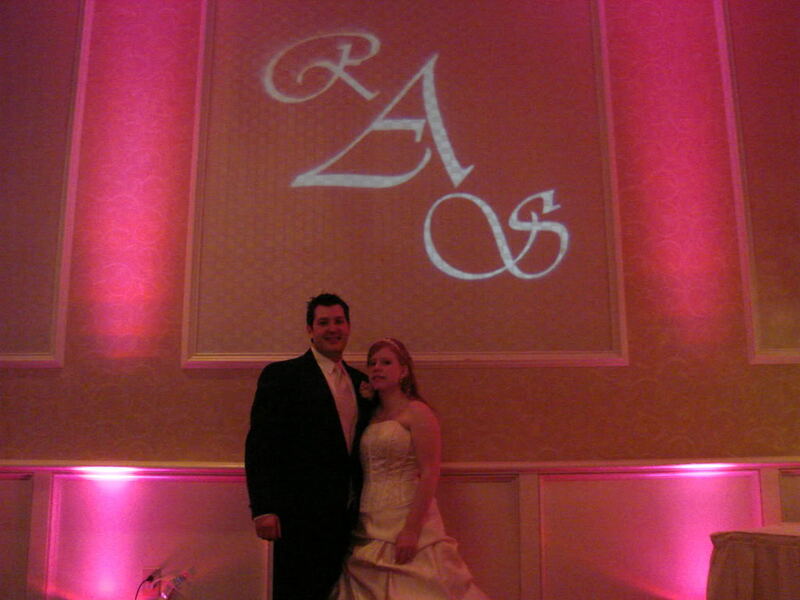 We work with you to incorporate font or themes already used in your invitations, cake toppers, napkins, etc . 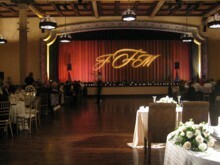 Call us today to design your event Gobo!